New Zealand has a lot to offer travelers as well as those looking to move to the country for a longer period time. Many of its larger cities continually rank amongst the top cities to live in the world in terms of livability. For this reason, it’s a popular destination for expatriation like its larger cousin to the West. Although it is known for its amazing scenery and wilderness, the majority of international relocations and shipments to New Zealand are directed towards the major urban areas. Roughly 90% of the current population can be found in, or close to, the bigger cities and their nearby suburban areas. If you are moving to New Zealand, you are going to want a vehicle to have while there. You can either purchase one after arriving or you can have your car or truck transported to New Zealand from your home in the U.S. We have shipped tons of vehicles over the years and we can help you with the customs documentation and any questions. New Zealand is about the size of Colorado and due to its remoteness it relies heavily on international trade. For this reason, it is very accessible to ocean liners and cargo vessels shipping goods into the country. Auckland is New Zealand’s largest city with a population of around 1.3 million. It is located in the northern part of the country and it is the main shipping port into New Zealand. We also offer international shipping services to Christchurch and Wellington which are the next biggest cities. A large number of these relocations and international shipments will be to one of these three destinations. However, if you need to get your effects to a smaller town in the south or ship your motorcycle to New Plymouth, we can make arrangements for delivery. Below is a list of the main cities in New Zealand. Shipping Your Goods from the U.S. If you are going to be shipping cargo from the U.S, there are five different locations that we can ship from. 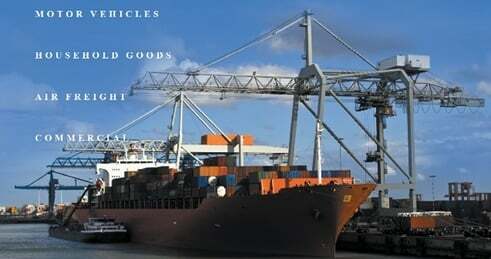 Which one you ship from will influence the overall costs to ship your goods to New Zealand. Our five different locations in the U.S are Los Angeles, Houston, Savannah, Miami and New York. Generally, for shipments to New Zealand our freighters leave from the port of Long Beach. It is about 6,529 miles from LA to Auckland and it is the closest port of the five. The exact costs involved with a shipment depend on additional factors. We offer a few options for receiving a free quote. You can give us a call at 800-599-0190 to get a customized quote from one of our professionals or fill out the online form on our home page. Be sure to have the dates associated with your shipment, the address of where you will be shipping to in New Zealand and any specific requests on hand.